Connecticut is a state in the New England region of the northeastern United States. It is bordered by Rhode Island to the east, Massachusetts to the north, and the state of New York to the west and the south (with which it shares a water boundary in Long Island Sound). Connecticut is named for the Connecticut River, the major U.S. river that approximately bisects the state. Its capital city is Hartford. Much of southern and western Connecticut (along with the majority of the state’s population) is part of the New York metropolitan area; three of Connecticut’s eight counties are statistically included in the New York City combined statistical area, the same area is widely referred to as the Tri-State area. Connecticut’s center of population is in Cheshire, New Haven County, which is also located within the Tri-State area. Connecticut’s major industries include insurance, agriculture, and manufacturing. Regardless of your industry, we can help you take advantage of Connecticut’s business services. 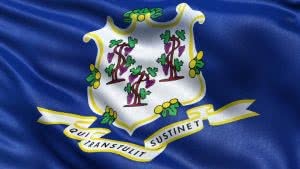 Names of Connecticut requires corporations must be distinguishable from any existing entity name, registered or reserved name or fictitious name. Company Express will research your company name to make sure it meets Connecticut’s standards. Required documents: Certificate of Incorporation. Turnaround time: About 5-8 business days. 2-3 days expedited filings are available for an additional fee. Follow-up filings: Organization and First Report must be filed within 30 days of the organizational meeting. Corporation’s principal office may be located outside of the state, but local registered agent is required in Connecticut. Time to file: Corporations must file annual reports on or before the last day of the month that marks the anniversary of incorporation. The state fee is $150. If you want to form an limited liability company (LLC), Company Express will research the availability of chosen company name, prepare for you and file with the Secretary of State office all required LLC paperwork, obtain certified copy of filed documents, if it will be requested by the client. We also will appoint registered agent for your LLC, as required by the state law, and will help with many of your follow-up corporate needs such as amendment filings, written consents, and annual report preparation and filing. You can find below some of the State formation requirements. Names of Connecticut Limited Liability Companies must be distinguishable from any existing entity name, registered or reserved name or fictitious name. Company Express will research your company name to make sure it meets Connecticut’s standards. Turnaround time: About 5-8 business days. Expedited filings are available for an additional fee. Minimum number: One or more managers/members are required. LLC’s principal office may be located outside of the state, but local registered agent is required in Connecticut. Time to file: LLCs must file their annual report on or before the date that marks the anniversary of formation. The annual report fee is $20. Signatures: An authorized official may sign annual reports. Emailed or faxed signatures are accepted.